In order to “legally” tow a trailer, proper wiring must be installed between your vehicle and your trailer to provide functional rear lights, turn signals and braking lights on the trailer. 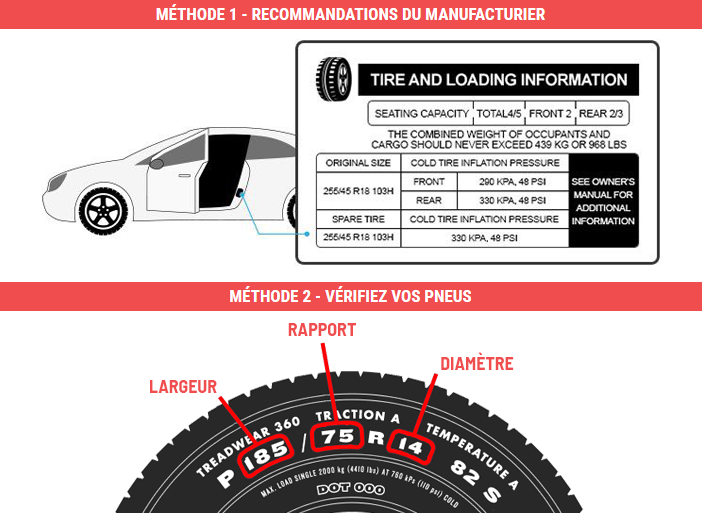 Several types of electrical wiring are available to answer various towing requirements. 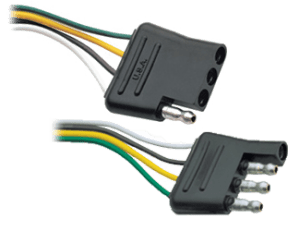 The 5-pin wire with flat plug (connector) is equivalent to the 4-pin wiring but with an extra blue that can be connected to the trailer brake or an auxiliary source of power. This wiring is often used for trailer tents, utility trailers or boat trailers. 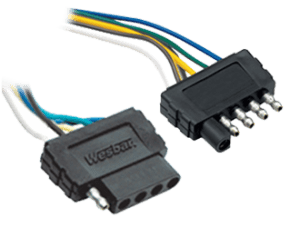 This 6-pin wiring with a rectangular plug (connector) – that measures 3/4″ by 1″ – is often used for small motorcycle or smowmobile trailers or utility trailers. 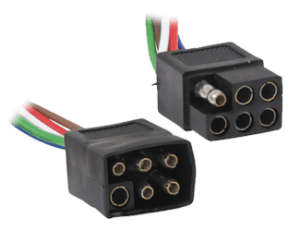 The 6-pin wiring with a 1″ diameter round plug (connector) includes one or two extra wires for lighting functions such as back up lights, brake control or a 12 volts auxiliary source of power. This wiring is adequate for horse, landscaping and car trailers. 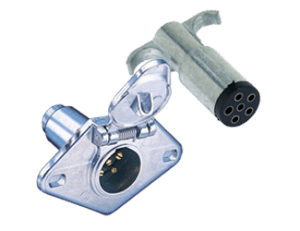 This 7-pin wiring with a 2″ diameter round plug (connector) is the most popular for heavy load towing. 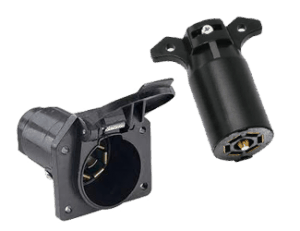 It contains an extra wire for back up lights or an auxiliary source of power. This wiring is used for large capacity trailers (landscaping, construction, cars, boats, horses, etc. ).